This conservation resource was created by Tyler Doucet; Hailey Woo; Maija Wootton; Shuomin Zhang;. It is shared under a CC-BY 4.0 International License. Located within the boreal forest of northern Alberta, the Cree, Dene and Me´tis community of Fort McKay lies at the center of a large-scale oil sands extraction area. In the past decade, the influence of oil sands development to Fort Mckay on land, water, air, and health aspects and the communities’ legal and political has led to their participation in the oil sands development. However it has still sparked many concerns, with the Fort McKay community concerned about quality of the reclaimed land and its plants and animals, as well as the loss of “spirit” in the land (related to their spiritual beliefs) which leads to the loss in effectiveness of the plants used as medicines, etc. There are concerns of a rise in VOC (volatile organic compounds) levels in the air surrounding the oil sands and affecting the local residents of the first nations people. There are large impacts that the oil sands have on the traditional practices of the first nations community and the disturbance of the land they hold with great value. This has become not only an ecological problem but social and cultural as well. 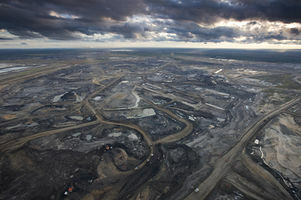 In the northeastern part of Alberta, Canada, the Athabasca oil sands surround Fort McKay, a small community a five hours’ drive north of Edmonton. It is home to Cree, Dene and Métis First Nations communities, housing a total of 862 permanent inhabitants. The disruption from the oil sands on the natural land surrounding Fort McKay is an ongoing issue, with no end in sight, and a mixed understanding of success upon completion. With some mines opening over 40 years ago, the current predicted completion date falling in 2060, and an additional 10-20 years of observation beyond that to become fully certified as reclaimed, there are many uncertainties. Most current mines have varying timelines as well; one being open for over a 30-year period with only 10% of disturbed land restored, compared to another where the disturbed land is equal to the amount of reclaimed land on a year-to-year basis. With so many contributing factors, it is hard to give a firm durational period, however it is likely it will exceed 100 years. There are currently 8 oil sands within an 8 km radius of Fort McKay, expanding over 40% of the land, which is likely to increase to over 90% over the coming decades. Of the 530 square kilometres of currently disturbed land, only 104 ha have been certified as reclaimed. For the First Nations people, this disturbance goes beyond the geographical inconvenience, and transcends into their cultural ways of living. With such an extensive timeframe, the cultural loss will be experienced throughout three generations of the community. The most significant impact for the First Nations people has been the cultural loss they’ve experienced with the limited access to the land. Previously, the communities have used the land for hunting, trapping, fishing, and growing and collecting plants for medicinal purposes. With the interfering oil sands, many of these are now unachievable and have caused a dispersal of wildlife and environmental changes that are preventing proper growth of plants. As much as you can reclaim and replace the land, you can’t replace the ‘spirit’, according to the residents, which in turn will lessen the effectiveness of the collected medicinal resources. In addition, the residents have expressed concern on what and how the land will be reclaimed, mainly regarding the quality, mimicry and sustainability. With such chemically dense procedures occurring within the oil sands, environmental concerns include; contaminated reclaimed land (specifically oil sand tailings), water salinity levels, and insufficient topsoil. Oil sand tailings are physically and chemically different than tailings from other mining practices and tend to remain in contaminated liquids for longer, prolonging full reclamation. Water salinity is a significant concern as residence see it as equally important as land reclamation. Insufficient topsoil prevents the successful growth of plants, disallowing locals to have full abilities of gardening on the land. Muskeg is another significant concern. Alternatively known as organic wetland, there is currently no successful recreation attempt of these lands, meaning restoration to initial land capabilities, the standard asked by the community, is unachievable. With such diverse native wildlife and spiritual importance in these areas, they are very valuable to the First Nations ecologically and spiritually. As stated above, the community’s definition of reclaimed is for the land to have its original capabilities. With current technology not sufficient of reproducing Muskeg, the community has shown interest in companies alternatively investing in research towards said cause. Some land spaces have been changed to upland forests and pit lakes, an easier transition from oil sands, however does not facilitate prior use. With Fort McKay being First Nations land and sanctioned under Treaty 8, an agreement made to maintain peace and a fair dispersal of renewable and nonrenewable resources between all people of the land, the community will continue to have a say in decision making alongside the companies who have caused the disturbance on the land. However, enforcement and observation that the sites are being completed to standard, falls more onto the Government of Alberta, which the communities have less direct association with. A large concern is the maintenance of the land one it is reclaimed. Should it not be self-sustaining, residents are curious to know whose responsibility it will be to maintain the land. To date, there have been advancements and reclines on both parties, with such a lengthy remaining period, it is hard to say if both parties will be satisfied with the end results. 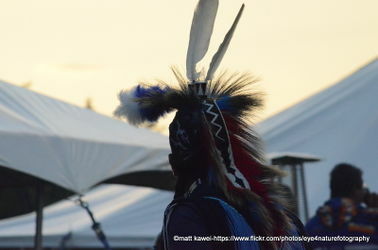 The First Nations people of Fort McKay include various communities including the Cree, Dene and Métis peoples. They are a part of a major group being negatively impacted by the matters surrounding Alberta’s development of oil sands. The Fort McKay First Nations have been the traditional owners of the lands where oil sands development actions have been taking place. The process has led to the disturbance of 39.1% of the land, which is only expected to increase to 90.5% due to more mines that are expected to be developed for more decades. The oil sands development is preventing the First Nations communities from being able to perform their cultural activities in their lands, leading to adverse impacts in the community . They place great value in the quality of land and all things that the land supports, including the “spirit” of the land. As these oil sands development actions have been taking place in the traditional land, concerns have risen within the Fort McKay First Nations communities regarding the quality of the land to be reclaimed. 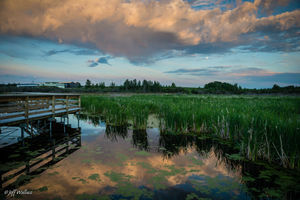 This strong spiritual connection between the land and its life forms and the Fort McKay community members is a vital part of their culture. However, some community members believe that the same spirit and value of the land will not be restored even after reclamation. Not only will these spiritual qualities of the Fort McKay will be disturbed, but the practical use value of the land may not be re-established as well. The land has been used by the Fort McKay community people for various uses such as medicine, food, hunting, etc. However, contaminants left in the land from the oil sands developments may mean that the land can be unsafe for such uses. The pace of the reclamation processes is also predicted to be very slow. Until 2060, most mining projects near the Community of Fort McKay will not be fully reclaimed. To receive the reclamation certification, there will be 15 to 20 additional years of monitoring that is necessary. On top of this slow progression of reclamation, it is difficult to even guarantee the chance of restoration of the original quality of the land to its earlier conditions even after reclamation, due factors such as the loss of spiritual connection between the land and the people and potential contaminants left behind from the oil sands development. Fort McKay holds strong value and connections to their land for their traditions and spiritual connections. After reclamation, they are expected to continue to live on the land as they have done so for years prior to the oil sands development. Thus, they have much interest and concerns regarding the process and final outcome of the reclamation of their traditional lands. Fort McKay was able to have some voice in the regulation of the oil sands development and reclamation by the government. Their expectations of reclamation have been more carefully considered by the oil sands companies through environmental agreements. However, there is currently no formal involvement by Fort McKay “in the Province of Alberta’s reclamation certification review and final decision making process”. Although the government likely will have the say in the ultimate decisions of the reclamation process, Fort McKay will “strive for formalized involvement in the reclamation certification decision process”. The Alberta Government is another actor in the issue of oil sands development in Fort McKay, holding much of the power in regulation of the oil sands development. Any decision made and processed must be allowed by the law and policies of the government, despite the voices of any other actor. They have been working closely with the Fort McKay community and a group of specialist consultants in order to take the community's recommendations into consideration . The government will also mostly likely hold the power to make the finalizations and decision making of the satisfactory of the reclamation. From the development of oil sands in Fort McKay the oil sands industry and its developers and regulators have definitely been at an advantage with the success of the oil sands development in Fort McKay. However, the mines must be discontinued in order for reclamation of the land to take place which means they may be negatively affected in the future. There is an article from Financial Post called Fort McKay aboriginals take ‘good with the bad’ of the oil sands, which highlights the financial successes from the oil sand development by using the words from Jim Boucher, the chief of the Fort McKay First Nation. And millions of dollars have been utilized for research on restoring wetlands and projects of land reclamations. However, according to some scientists, the reclamation seems not able to fix environmental problems perfectly and the negative influences caused by the oil sands development still exist. The Muskeg, organic wetlands in Alberta, has around 60 percent of the boreal forest that sits atop the oil sands. The most common variety of trees is a fen, which plays a significant role in water maintaining, carbon reserving and keeping biomass. Uncountable tones of carbon has been released due to the mining at wetland areas and it will take several generations to absorb the leaking carbon back after land reclamation. Besides, based on Ms. Bayley’s statement, there are over 1,900 square kilometres of fens overlaying the mineable oil sands. Even though only about a third will be rebuilt as self-sustaining wetlands based on estimated advises. Due to the sophistication of restoring wetlands, it is a tough project to complete. After comparing 20 reclaimed oil sand wetlands to 25 undisturbed sites, Ms. Bayley and her colleague Rebecca Rooney found that nearly 70 percent of reclaimed areas were in poor ecological situation: less productive plants, more exposed to erosion and lower biodiversity, which is a persuasive statistic presenting the shortcomings of reclamation. David Schindler, water ecologist from University of Alberta, illustrated that ‘the research conducted by Ms. Rooney that concluded wetlands destroyed in creating the 10 existing and approved oil-sands mines will release between 11 million and 47 million tonnes of carbon. Reclaimed wetlands will begin absorbing carbon again, but their smaller extent means the annual uptake will be up to 7,200 tonnes less.’. Ecologist Kevin Timoney who did research at a region about 5,000 square kilometres pointed out that reclaimed places have fewer native plants, more non-native weeds and lower biomass compared to natural wetlands. The damage to native species are severe. What followed the environmental problems are public health issues. In the area of Wood Buffalo where the most intense oil sand development happened, many indicators of public health shows that the statistics of the region is worse than provincial average. Beside the worries from academic members, the aboriginals also show concerns about the reclamation. As mentioned before, it take several generations to capture released carbons so does the land reclamation. The proposal of Jackpine Mine will cover more than 20,000 hectares. And the land there will not be completely reclaimed by 2060 even later, which means at least two or three generations of Fort McKay people will be alienated from their customer land. And the vegetation establishment and ecosystem restoring will take long time additionally. And the proposal of reclamation does not meet the indigenous’ beliefs. The aboriginals think that reclaimed lands have lost their ‘spirits’ neither their values. There is a quote from Fitzpartrick which indicates the importance of Muskeg on their culture and environmental functions. However, the technology is not advanced enough to support rebuilding the same wetlands as what Muskegs were and the proportions of wetlands have reduced in reclaimed lands compared to what it used to be. last but not least, it is a problem between affected stakeholders and interested stakeholders, who will be responsible for the land after mining closure? Taking the Jackpine Mine Expansion as example, the project is planned to extend over 60 years. While the mining is continuing, the locals are hired and get salaries from companies to support their lives. When mining is completed, companies have got profits and gone. But Fort McKay people have to continue to live in the land. Who should be responsible for the consequence of mining such as water pollution, loss of biodiversity, soil erosions and the following management of reclaimed areas? Fort McKay’s First Nations have lived on this land for generations and expect to continue to do so after mining is complete. In order to return to their land in a condition similar to that prior to the Alberta oil sands development remedial actions must take place. The First Nation’s community, the government of Alberta and the oil industry must work in collaboration so that the land may be both reclaimed without harm and to improve management of this development moving forward. The First Nation’s community are being displaced, exemplifying environmental racism where “the impacts and benefits of [these] risky megaprojects are inequitably distributed with Indigenous people bearing most negative impacts.” . This imbalance should correlate to the burden of remedial action more so on the industry than First Nations. The potential benefits of the development of the oil sands are highlighted and celebrated by industry and government officials, while the drawbacks to the First Nation’s are belittled. Considering the size and financial success of the oil sands, the industry is at liberty to compensate the community greatly for the burden that the developments pose, as a means of remedial action. The oil sands developers have “$100-million in annual revenue, [and] it employs 4,000 people- aboriginal and non-aboriginal”. Chief Boucher, the chief of the Fort McKay First Nations expressed his gratitude for the success that the industry has granted the community and in fact stated that Fort McKay First Nation were transformed into “one of Canada’s aboriginal business powerhouse” . Profits coming from the land of First Nations simply should be shared with the First Nations, at a fair wage. Secondly, the Fort McKay Group of Companies LP should continue to strive for aboriginal inclusion in their companies, to ensure that this is a project the community can benefit from, and furthermore as a means of inclusion moving forward. Co-management over the land and the project would grant them with a voice in the matters, a voice that speak from first hand experience, with the environment in their best interests. Introducing affirmative action or employment equity framework would allow for representation not only in the lower levels of the industry, but in the corporate sphere as well, allowing for the First Nations in Fort McKay to have direct impact on the management of the oil sands, and the restoration afterwards. Unarguably, the greatest worry of the First Nations community, and the concern that must firstly be addressed is the restoration of the land how it was before the development. The First Nations are looking to return to a land with the lowest possible footprint or mark of industrial development. There are currently practices in place to ensure the lowest possible environmental impact, including but not limiting to “improved regulations for salvage and replacement of topsoil, recent changes to the management of fluid fine tailings and the requirement to initiate large scale trials of techniques to reclaim land to peat accumulating wetlands (fens and bogs)”. But it goes beyond an immediate restoration, but rather the long term effects that could potentially harm or damage the environment. All parties must look far into the future and ask “if reclaimed land is not designed to be self-sustaining, who will be responsible for the ongoing maintenance of these sites” . The industry should take responsibility for all restorations required on the land, and not just as they come, but rather take on the financial burden of future disturbances. The land should exist here on out as the premining conditions, at the expense of those who profited from it. The best remedial measures on the part of the industry is a sense of security in the longevity. Remedial action is not merely a matter of monetary or any form of tangible compensation because the community, as well as losing their land, are losing the culture that comes with it. The oil sands “limit their ability to carry out cultural activities within their traditional lands and that has had significant adverse effects on maintenance of their cultural heritage”. 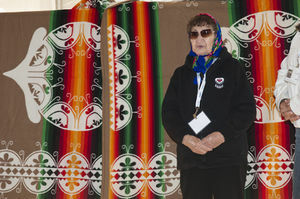 While there is no sum of money that can be put on a community’s culture, especially one that is so rich in traditions, investments into residential schools, aboriginal businesses, after school programs would help the community moving forward but also show solidarity in support of their culture and traditions. Additionally, Fort McKay First Nations are a community that are in fast growth, and with that comes a need for new land and infrastructure. In exchange for the First Nations support in the oil sands development there should be infrastructure projects implemented to guarantee the First Nations land to accommodate this expansion. “There are no urban expansion areas in Fort McKay presently; however, the Municipal Development Plan has identified 41 hectares (101.3 acres) for future residential development to the northwest of Fort McKay’s central area.” . The effects on the maintenance of their culture and heritage should be paired with a means to help restore their culture and heritage, moving forward. As the members of the Fort McKay First Nations are the main victims of the oil sands development occurring in their traditional land, their recommendations and suggestions should be taken into careful consideration and followed as thoroughly as possible through the collaboration between Fort McKay representatives, the oil sands developers and the government. Any action taken should be happening with consideration of the recommendations of the Fort McKay First Nations. For example, they hold great value in the conditions of their land being undisturbed and thus any disturbance to the land should be reduced as much as possible to provide them with the best quality of their reclaimed land. The restorative efforts of the First Nations people with the Athabasca oil sands is an ongoing issue and will be for many years to come. The policy of the issue is multilateral, including First Nations, various oil companies and the Government of Alberta, all with different motives and practices in the matter. With varying definitions of restored and other issues of incompletion, such as observation and maintenance, it is hard to predict at this time what the final outcome of the situation will be. A co-management approach to the oil sands developed is the preferred option for this particular instance. By allowing the community, and the First Nations peoples of Fort McKay stakeholder status in the project so that oil companies may accommodate the land and its inhabitants, as they see so fit. The development has granted the community huge financial and economic success that was relatively previously unforeseen, so it is in the First Nations best interests to continue to move forward in cooperation with the other actors. However, it would be the most beneficial for the First Nations to delay their involvement until technology has progressed in a way that development would no longer be a tradeoff between economic and environmental prosperity and the impacts are at a minimum. All efforts should not solely be exhausted on the current situation, but rather, formulating means to continue the work in a way that does not impede, the environment, the people or the culture of the land.